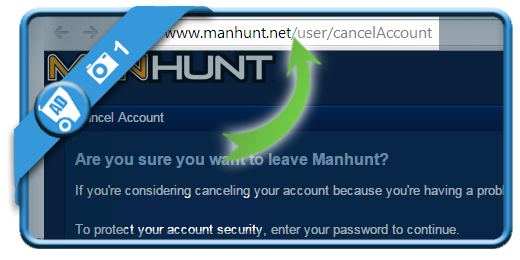 We saw that a lot of people are looking around for a solution to remove their Manhunt profile. If you’re one of them, we’re here to the rescue! 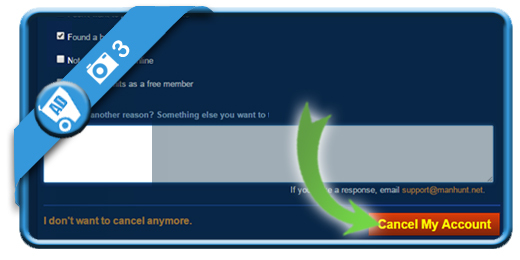 Just follow along with the steps and picures below to close your account. using the green button below while you’re logged in. when you arrive on the cancellation page and enter your password. is the final button to remove your profile. You can leave a reason first of why you want to remove it. 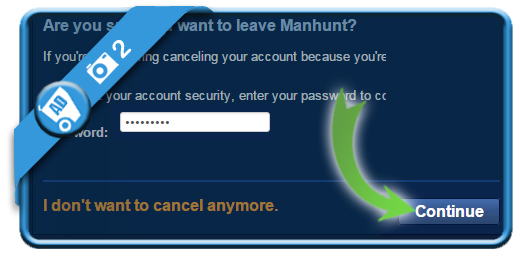 Your Manhunt account is now permanently closed and you’ll be redirected to the homepage.